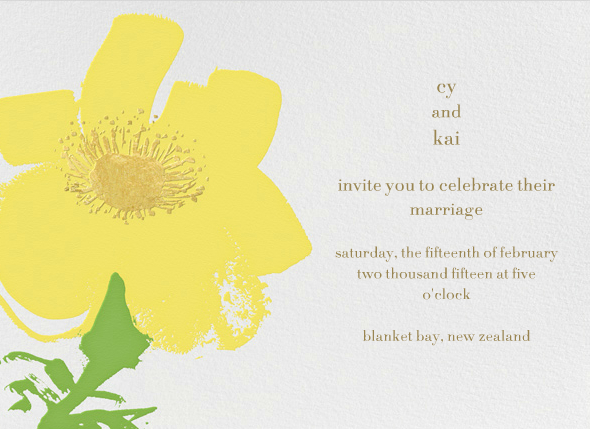 I am a huge advocate of creating e-invites or e-wedsites instead of printed ones. Now don't get me wrong. I loooove papers products and I used to collect them. But the fact of the matter is, it's wasteful. What do we do with invitations after we receive them? Do we REALLY think guests are gonna love it so much that they will display it forever? Some would argue that "there's still nothing like sending real invites to make guests feel special" but no matter how you argue it, there are OTHER ways to make guests feel special without having to do this. And this is a really serious issue folks. Do you know that the Philippines only has 24% of trees in our forest left? And this is just in our own neck of the woods--how about in the other parts of the globe? I don't claim that I am a pure blooded environmentalist but we can all contribute in our own little way. E-invites are soooo easy and fun to make! 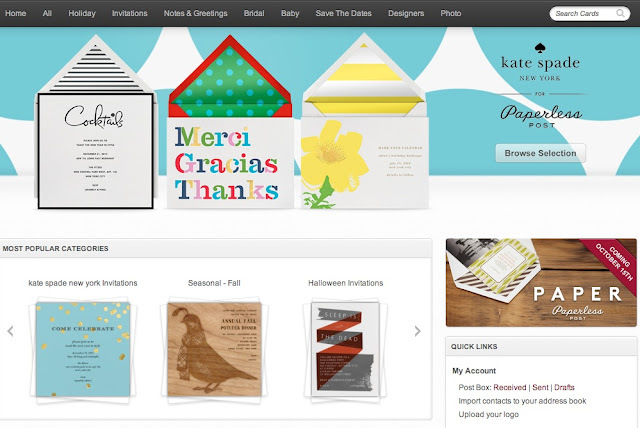 The best part of it now is, Kate Spade has its own version of it as collaborated with The Paperless Post! So imagine sending out invites using Kate Spade's signature paper products but in paperless version! Oh how delightful! 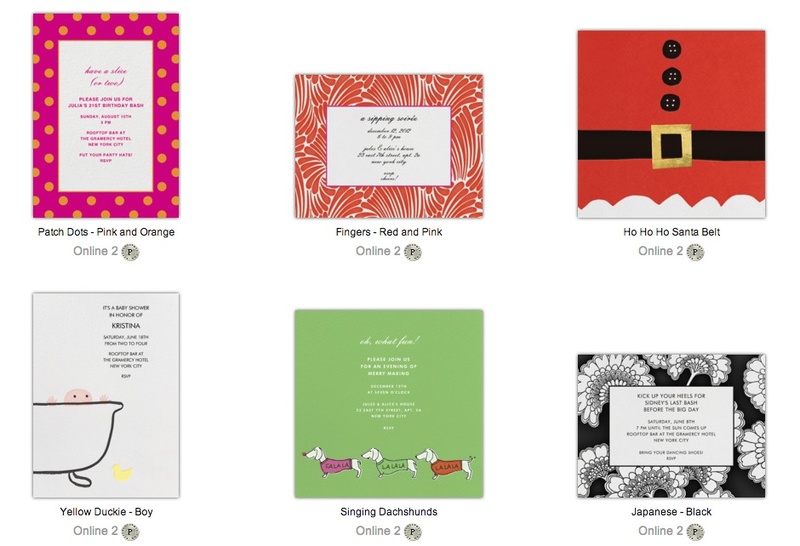 First, I'll show you some of the designs and what The Paperless Post is all about. And then next, I will show you a walkthrough of how to make one! It's easy as 1-2-3! The Paperless Post writes: "Communication is an extension of personal style: how you say something is often as important as what’s being said. Paperless Post modernizes the tradition of correspondence and helps you create cards and invitations that reflect an individual aesthetic. The medium is the message, after all. Happy sending." 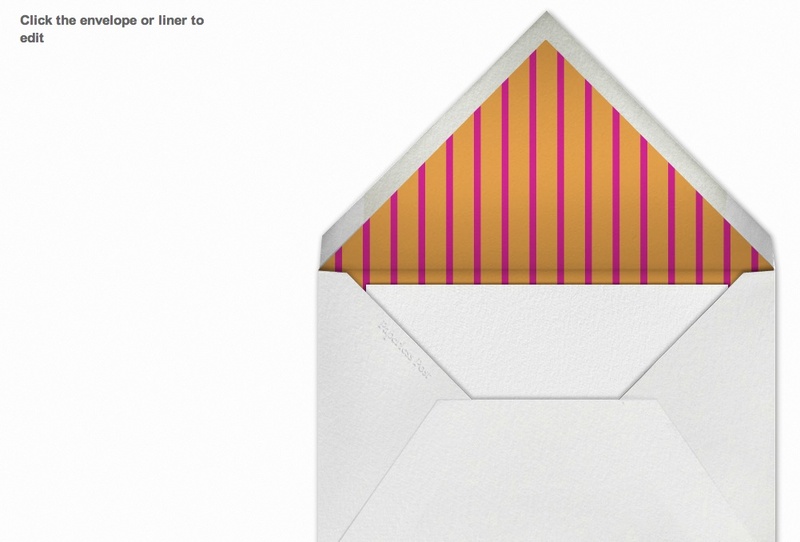 Look at this Paperless Post design with Kate Spade's signature letter note cards! You can even customize the motif and color of your card! Look! 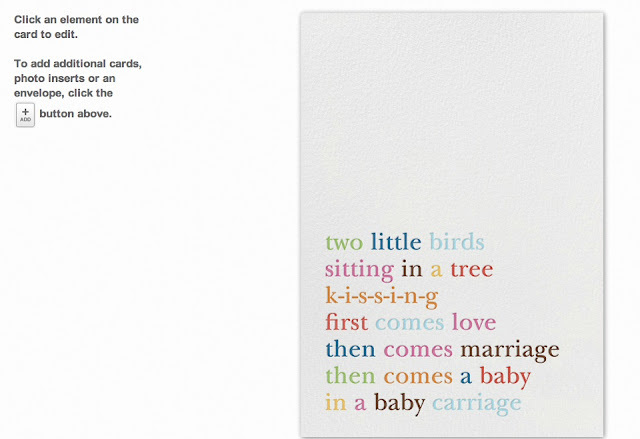 It's Rebellious Bride Mica's wedding invitation copy but in Kate Spade Paperless version! 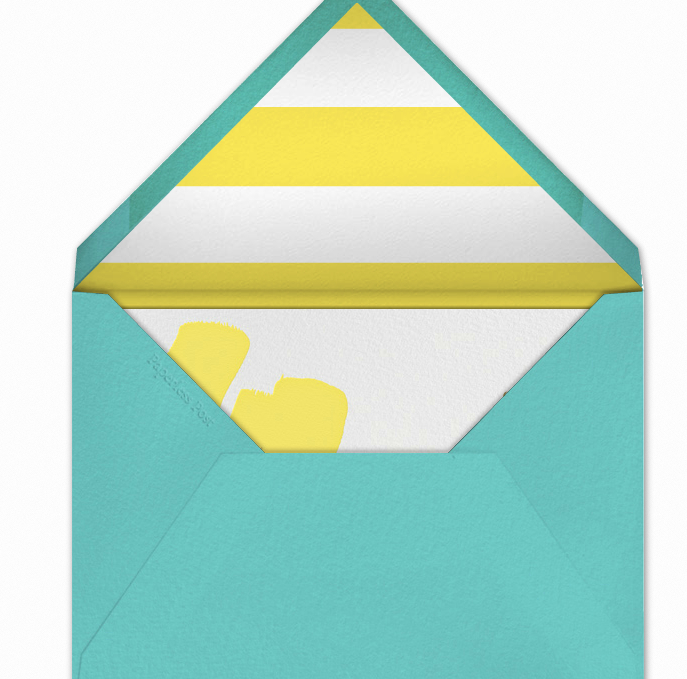 You can even customize the e-envelope's design! 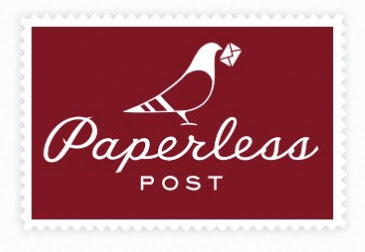 First, you have to register as a new member of The Paperless Post. Then you choose a design. There are other designs but of course, Kate Spade is my favorite! After all, if you need to pay, might as well go for Kate Spade! Once you have chosen a design you can customize each aspect of the card from the font style, to even the "postage stamp"! For a minimal fee, you can send personal emails through the Paperless Post or if you'd rather do it for free, you can share it via Facebook, Twitter, or even via a link. To simulate this, you can send yourself a free test. Here's mine! I sent myself my imaginary invitation and I received it in .05 seconds! 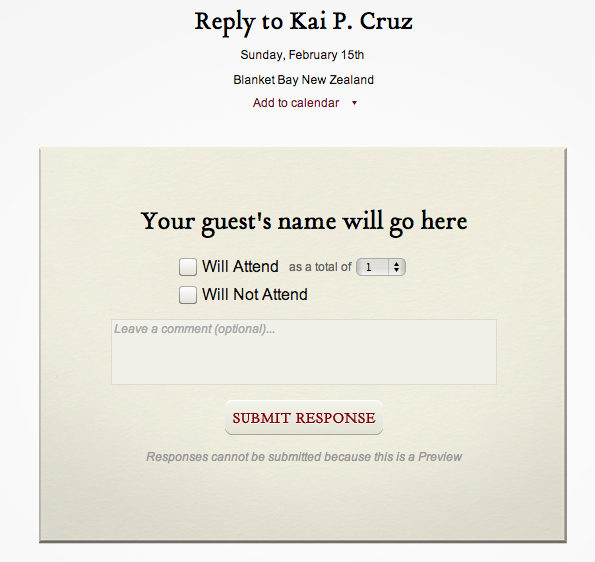 Upon clicking the email, your guest will receive an e-envelope personally addressed to them. In my case, since I sent it to myself, my own name was written on the envelope. 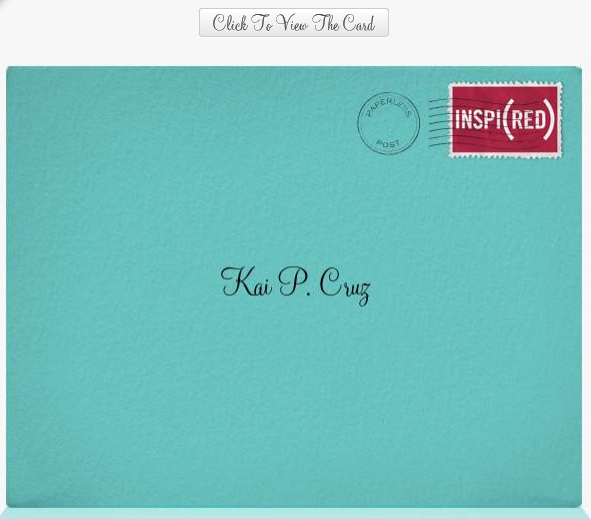 Note that I personalized my envelope to my favorite color--turquoise! And I even chose my own stamp there called "Inspired"
Upon clicking the envelope, it will re-direct to the actual e-invite which even animates! 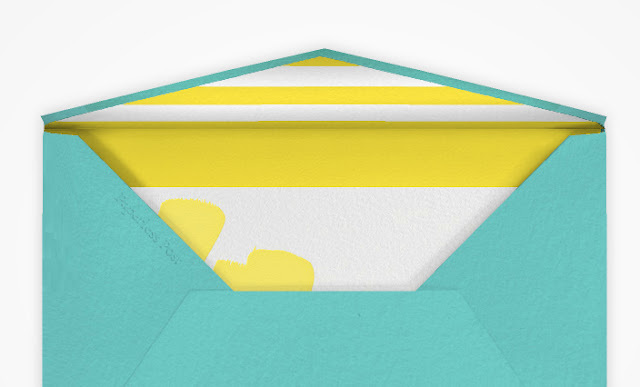 Here's the animation of my e-invite being "opened"
My invitation is sooooo Kate Spade! Love it! 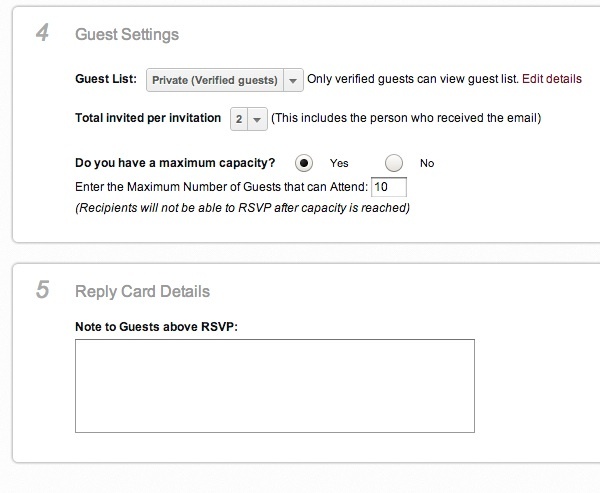 Upon reading the invitation, the guest can automatically confirm their attendance and The Paperless Post automatically organizes your RSVP and Guest List! 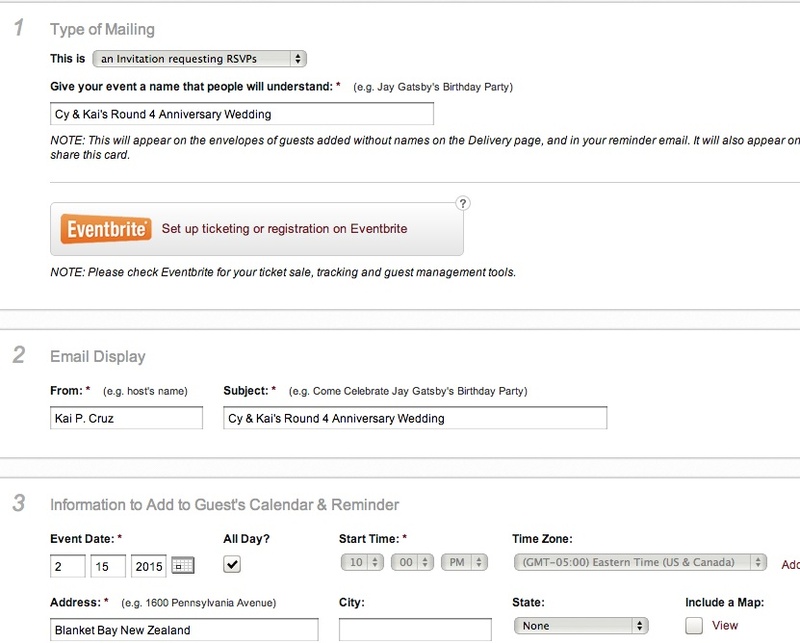 Lastly, you can customize the privacy settings of your invitation and your guests can verify themselves though Facebook or their email address. 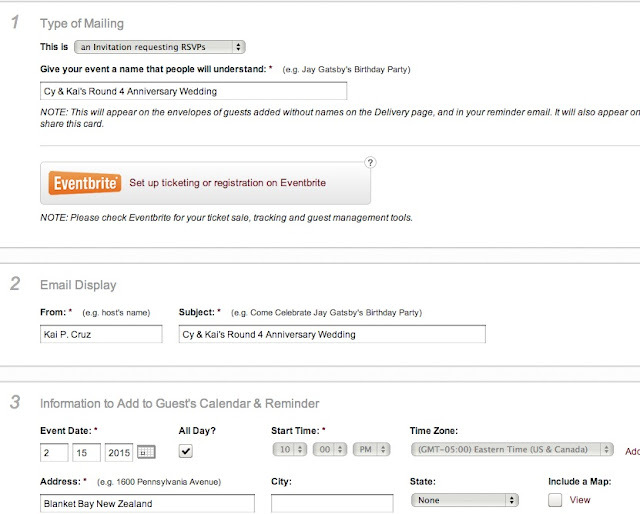 When they confirm their attendance, they can even sync this with their calendar! 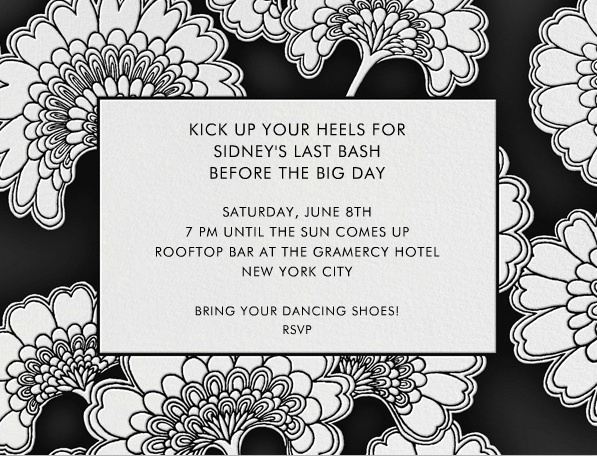 Be realistic and know that actual printed invites get thrown away. What's more, imagine the natural resources that are wasted just to have your pretty little invitations. If you insist on having printed ones then the best compromise is to have a few made--just for you and your primary sponsors. Then the rest of your guests can be given an e-invite version of it.